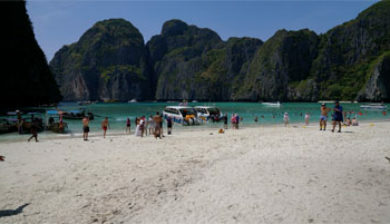 The Phi Phi Islands (Thai: หมู่เกาะพีพี, RTGS: Mu Ko Phiphi, pronounced [mùː kɔ̀ʔ pʰīː.pʰīː]) are an island group in Thailand, between the large island of Phuket and the west Strait of Malacca coast of the mainland. 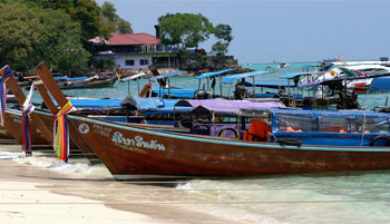 The islands are administratively part of Krabi province. 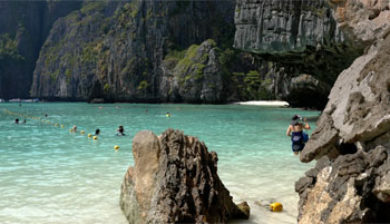 Ko Phi Phi Don (“ko” (Thai: เกาะ) meaning “island” in the Thai language) is the largest island of the group, and is the most populated island of the group, although the beaches of the second largest island, Ko Phi Phi Lee (or “Ko Phi Phi Leh”), are visited by many people as well. 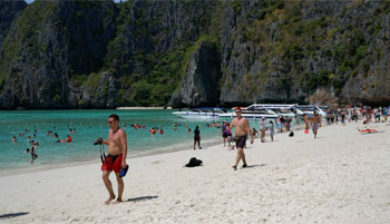 The rest of the islands in the group, including Bida Nok, Bida Noi, and Bamboo Island (Ko Mai Phai), are not much more than large limestone rocks jutting out of the sea. 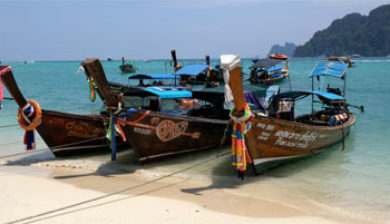 The Islands are reachable by speedboats or Long-tail boats most often from Krabi Town or from various piers in Phuket Province. 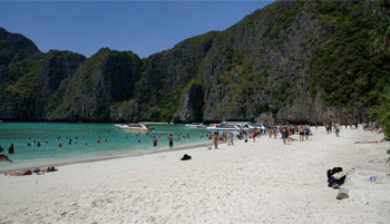 The islands came to worldwide prominence when Ko Phi Phi Leh was used as a location for the 2000 British-American film The Beach. 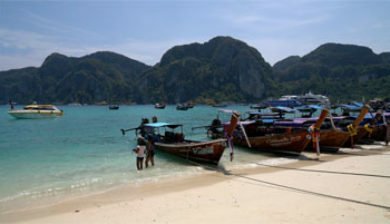 This attracted criticism, with claims that the film company had damaged the island’s environment, since the producers bulldozed beach areas and planted palm trees to make it resemble description in the book, an accusation the film’s makers contest. 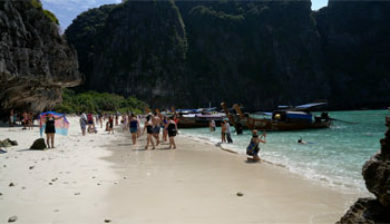 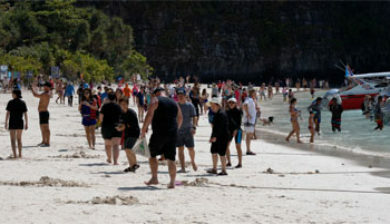 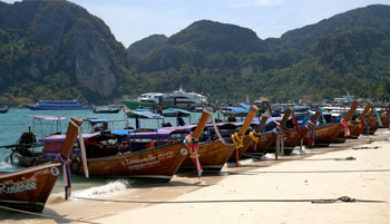 An increase in tourism was attributed to the film’s release, which resulted in increases in waste on the Islands, and more developments in and around the Phi Phi Don Village.